Enjoy a night filled with comedy to benefit the Northwest Arkansas Women’s Shelter. The event will feature headliner Erin Jackson, seen on “Conan,” “Ellen,” “Last Comic Standing,” and Comedy Central; local comedian Raj Suresh; and Trey Moore as the emcee. 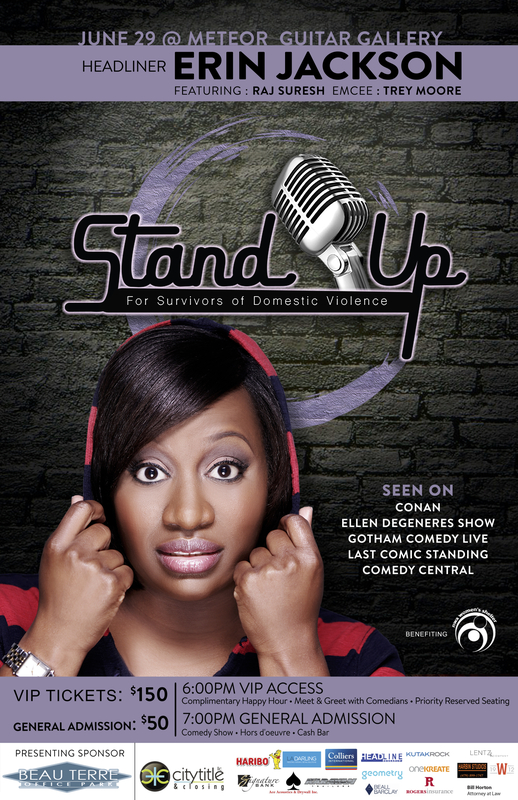 For tickets, visit https://stubs.net/event/2055/standup-for-survivors-with-erin-jackson.